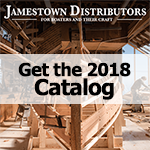 A versatile low-viscosity epoxy system used for wooden boat building, composite construction and repairs that require high-strength, waterproof coating, bonding, and filling. Cures over a wide temperature range with one of four hardeners. reliable and widely used marine epoxy. An easy-to-use, toughened epoxy designed to make structural bonds that absorb the stresses of extraordinary expansion, contraction, shock, and vibration. Glues resinous and wet woods, hardwoods, and a wide range of dissimilar materials. Makes permanent, waterproof repairs to aluminum, plastic, and wooden boats. Provides a relatively long open or working time and a quick overall cure. Can be modified with WEST SYSTEM fillers. An easy-to-use epoxy for quick repairs and general bonding. Use for making jigs and fixtures quickly and to hold parts in position while standard epoxy bonds cure. Not intended for continuously wet applications. Applied with a standard caulking gun. Six10 features a non-sagging formula for tenacious bonding of wood, metals, fiberglass, and concrete.